Beth Doglio is the Campaign Director at Climate Solutions. She oversees legislative campaigns, ensures campaign strategy is integrated into planning of Climate Solution’s flagship programs, and sustains and builds a network of organizations and businesses to advocate for responsible climate policy, clean energy and transportation solutions. She most recently served as a campaign organizer and then development director for Audubon Washington. In 1996 she was a field organizer for National Abortion and Reproductive Rights Action League (NARAL), and, in the early-to-mid 90s, she was Executive Director of Washington Conservation Voters (WCV). During her tenure with WCV she created Washington Environmental Alliance for Voter Education (WEAVE). Ivan Frishberg has 20 years of organizing and advocacy experience, including public interest, environmental and electoral campaigns. He is the national Political Director for Environment America, and works to develop the organization’s political and campaign strategies. His prior experience includes working on legislative programs and strategies for the State PIRGs, federal advocacy on higher education policy and consulting for a wide range of campaigns and organizations including Rock the Vote, John Edwards for President, the Center for American Progress and the Democratic National Committee. Anjali Helferty is the Managing Director for the Energy Action Coalition, which was founded to unite a diverse youth climate movement in the US and Canada. Her involvement with Energy Action began in 2006 as the National Sustainable Campuses Coordinator for the Sierra Youth Coalition, the youth branch of Sierra Club Canada. One of the highlights of her involvement with Energy Action was the opportunity to appear with other movement leaders in Vanity Fair's 2007 Green Issue. She was also a founding member and the first chair of the Canadian Youth Climate Coalition. After spending eight years reestablishing her Canadian roots, she is excited to be back in the US and to continue building relationships within the country and across borders. Anne Kelly is an environmental attorney with twenty years of experience in the private sector and in state and federal regulatory agencies. She is the Director of Governance Programs at Ceres, a principal in the law and mediation firm, Creative Resolutions, LLC based in Boston, and a member of the adjunct faculty at Boston College Law. Prior to joining Ceres, she was the Director of the Massachusetts Environmental Strike Force, a specialized unit of the Attorney General's Office dedicated to bringing criminal and civil actions against major environmental violators. She served as Special Assistant to John DeVillars, Regional Administrator of EPA New England. She is on the board of the Environmental League of Massachusetts and the Massachusetts Energy Consumers Alliance. Jennifer Rennicks, MS, oversees federal policy work for the Southern Alliance for Clean Energy, serving as the primary liaison between SACE’s programs and diverse staff and our region’s Congressional offices in Washington, DC and the states. Her primary focus is to educate policy makers and their staff on the challenges the Southeast faces from global warming impacts and the clean energy solutions that will result through progressive federal climate and energy policies. 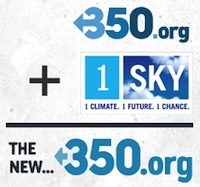 Jennifer currently serves on the Steering Committee for 1Sky, a collaborative national campaign focused on delivering bold climate and energy policy by 2010. An experienced advocate, writer, coordinator and public speaker, Jennifer worked most recently as the watershed project manager at Upstate Forever in Greenville, SC. She was also previously employed by the Southern Appalachian Forest Coalition in Asheville, NC; the Ecosystem Management Initiative in Ann Arbor, MI; the South Carolina Department of Parks, Recreation and Tourism in Columbia, SC; and the School for Field Studies in Costa Rica, Central America. Jennifer earned a Master of Science in Environmental Policy from the University of Michigan in 2000, focusing on community conservation and protected areas management through the Belize Audubon Society in Belize, Central America for her masters project. While at the University of Michigan, Jennifer earned a certificate in environmental dispute resolution. She completed her Bachelor of Arts in Anthropology and Environmental Studies from Tufts University in 1993, including a semester spent in Costa Rica studying sustainable development studies. Samantha Rodgers is the Field Organizing Director at Greenpeace. In 2006, she launched the pilot of Project Hot Seat, the cutting-edge, long-term strategy to implement solutions to global warming in the US. Today she oversees the direction of the field campaign. Prior to this she worked with MoveOn.org Political Action, where she helped develop MoveOn’s first full-scale field organizing campaign and directed operations in Albuquerque, NM during the 2004 election season. Samantha has also worked for Environment California where she led development of Environment California’s new oceans campaign while running the group’s Conservation program. Jessy Tolkan serves as the Political Director for Green For All, leading the federal political work of the organization. Prior to her role at Green For All, Jessy served as Executive Director for the Energy Action Coalition, a coalition of 50 leading youth organizations throughout the U.S. and Canada. Under her leadership the Energy Action Coalition grew a generation-wide movement to stop global warming, by advocating for green jobs, stopping new coal plants, and making young people's voices heard in the policy debate around global climate change. Jessy has spent most of her career working to build power amongst the millennial generation. In 2004, as state director for the New Voters Project, Tolkan helped to register more than 130,000 young voters and produce one of the highest youth turnout rates in the country. She's been featured in Time Magazine, Hard Ball with Chris Matthews, and Vanity Fair Magazine. Jessy helped to plan the largest youth gathering on global warming in our nation's history - POWER SHIFT 2009, a conference that brought together more than 12,000 youth representing all 50 states, and culminated with the largest single lobby day on capitol hill focused on global warming. Jessy spearheaded POWER VOTE, a campaign to mobilize 1,000,000 young voters are climate and energy issues in more than 30 states across the country. Prior to her work at the Energy Action Coalition, Tolkan worked with leading advocacy and grassroots organizations including: United States Student Association, Young Democrats of America, and Grassroots Campaigns, Inc. Tolkan received a B.A. from the University of Wisconsin-Madison in Political Science and African American-Studies. In 2008, Tolkan was named one of 100 agents of change by Rolling Stone Magazine. Dr. Kristin Welker-Hood is a nurse, environmental health scientist and director of the Environment and Health Program for Physicians for Social Responsibility (PSR) in Washington DC. She previously served as Senior Policy Fellow in the Center for Occupational and Environmental Health of the American Nurses Association. She holds a BS in Nursing from the State University of New York in Binghamton, NY; an MS in Nursing from Johns Hopkins University in Baltimore, MD; and received her Doctorate in Environmental Health Science from Boston University, School of Public Health, Boston, MA (2005). Her present policy interests include global warming and regulatory reform of chemicals management. Since joining PSR she has launched the Code Black: Coal's Assault on America's Health campaign for which she provides expert testimony at coal plant permit hearings and presents across the country to health professionals about the deleterious effects of coal pollution on public health. Dr Welker-Hood served as the co-principle investigator in a PSR biomonitoring study of chemicals in practicing doctors and nurses in ten states (2008-2009). Recent publications include, "Coal's Assault on Human Health" PSR November 2009 report, "Global Climate Change and the Nurses Role" in American Nurses Today, and "Regulatory, Institutional and Market-Based Approaches Towards Achieving Comprehensive Chemical Policy Reform" in Online Journal of Issues in Nursing, "Hazardous Chemicals in Health Care: a Snapshot of Chemicals in Doctors and Nurses"- PSR report October 2009.